Was the most expensive team in the country.. They're the same team that stick with Yuna Kim, and Seo Taeji..
T/N: Yuna Kim is the no. 1 figure skater in the world. She is pretty much equivalent to a Queen in Korea. 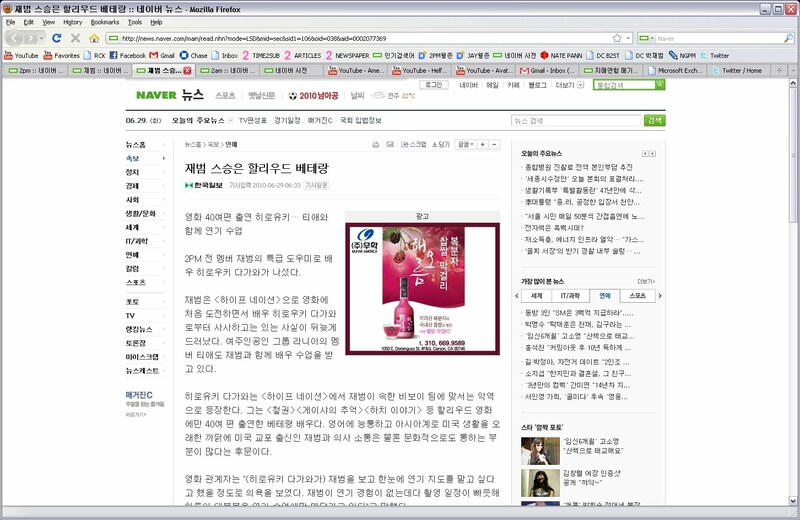 Seo Taeji is frequently referred to as the 'cultural president of Korea'. 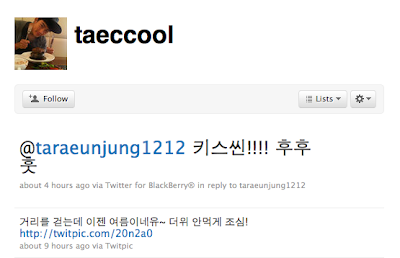 Seo Taeji introduced Kpop into the nation. His influence in Korean music was comparable to that of Michael Jackson's era in the 1980's. On an episode of SBS Star King, Kim Hongin, a 16 year old with a hearing impairment, learned how to become manly from 2PM. Hongin stated, "Ever since I was little, I couldn't hear well so I was made fun of by my male friends. The only person that protected me and stayed by my side was my female class partner. Afterward, I became closer with female friends and became girly. But now I want to be a strong man and be able to protect my future girlfriend." 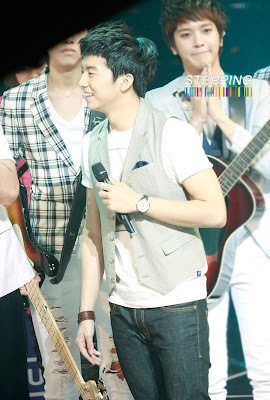 Chansung and Junho accepted his request and showed off their tough charisma. They even showed off something that they rarely show on broadcasts: their abs. The two also taught him how to greet others, how to speak, and how to show off one's manliness while dancing. 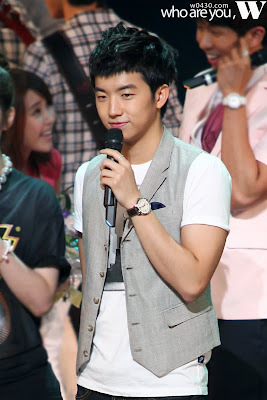 Hongin used the tricks he learned from 2PM by pulling f(x)'s Luna in a tough hug and boldly proposed, surprising Luna. 2PM's former member Jaebum's 'Hype Nation' first filming has become canceled. Jaebum was scheduled to participate at 'Match One Skill 2010' on the 28th at 7 PM but dropped out. It was originally planned for him to participate in the b-boy battle and then begin filming on the 29th. 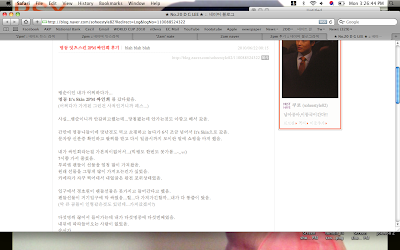 Jaebum's management, Digital Media Wire, stated on the 28th, "Jaebum will not be participating in this event. We have never allowed them to use Jaebum's name without our consent. He has been invited as a part of the audience. If fans have bought tickets to see Jaebum, please request for a refund." Hype Nation's choreography director Jang Kyungho representative stated, "There has been talks of Jaebum participating in the battle for his fans along with filming for Hype Nation but the issue got too big and it was eventually canceled. Jaebum will just be a part of the audience and the responsibility falls on us so we will be refunding customers." Jaebum wrote a clarification on his personal Twitter on the 27th, "I will not be battling, just briefly watching. I was going to participate but something happened so I can't. Please calm down. You can just get a refund." TN: Just a bit of background information, this issue was a bigger deal than normal in Korea for the past couple of days, both by the press and fans. The article does do a decent job at summarizing the gist of what happened in the beginning. The second half focuses on the shady marketing aspects of it because it was later revealed that the associate of Match One Skill was in fact Hype Nation's choreography director. The second problem is that the competition publicly announced 500 seats for Jay fans but they sold even more seats at a more expensive cost to Jay fans under the table, which makes people question why they're worrying about safety now when they clearly weren't factoring safety at the time of ticket sales. 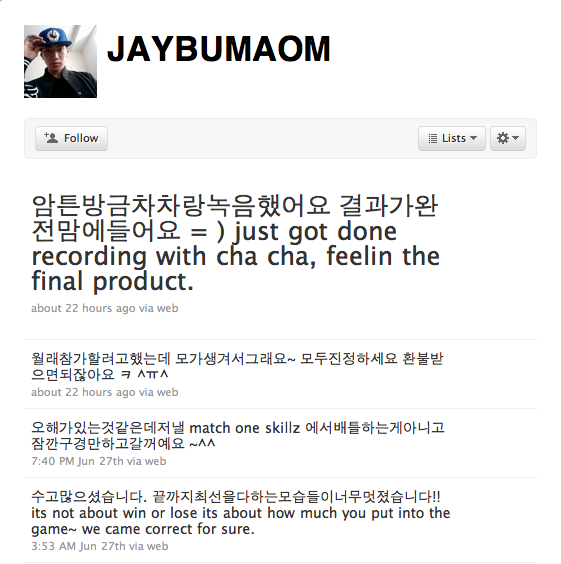 What people are questioning now is how large is Jay's role in this entire marketing scheme and its connection to Hype Nation. The Jaebum situation is like a movie in a certain way. After withdrawing from 2PM, less than a year has passed since he has returned as a movie star and many things have happened since then. It is useless to see Jaebum through the lens of 2PM now. He is no longer associated with the group and an irrelevant person to JYP Entertainment. What is important now is Jaebum's future move. Jaebum is the blue chip of the entertainment market. Of course, opinions regarding his worth reach both extremes but one must admit that Jaebum is the most effective celebrity from a business standpoint, regardless of what the reasons are for his sudden rise as a blue chip. His fandom is anxious to spend money for Jaebum through whatever contents possible and he has become one of the biggest 'hot issue makers' of the Korean entertainment market. To put it simply, he is the best product in the market now that will bring in the highest income. Because of such reasons, Jaebum must approach the market wisely. However, what he has shown us lately is upsetting. He put in so much effort in setting up the foundations for his comeback but is using marketing tactics that show its intent so clearly from the inside out. On the 28th, news of Jaebum's participation in a national b-boy competition named 'Match One Skill' was reported. The official cafe for the competition announced that Hype Nation would be filming with them on the 16th, a notice that was put up before Jaebum's return. According to the announcement, the year's competition would have a special feature of Hype Nation along with an appearance by Jaebum and his crew, AOM. There was even a follow up announcement stating that Jaebum would be able to go up on stage himself in order to let the fans see him as much as they could. 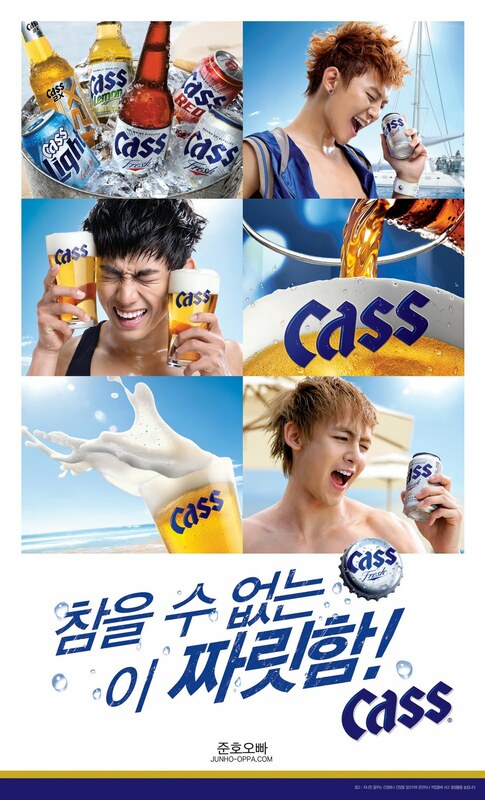 They would be selling 500 tickets to fans in advance on discount along with 500 tickets for members of the cafe. Fans that heard of the news submitted their payments on the morning of the 21st. 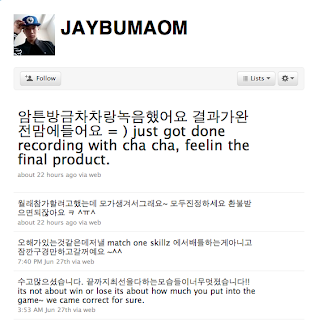 The 500 names and bank accounts were managed not by Jaebum's fanclub but by Match One Skill's team. However, once Jaebum announced on his Twitter that he would not be participating in the competition but would be a part of the audience, fans began requesting a refund from Match One Skill. Fans also found out that Match One Skill had even sold an additional amount of seats to fans apart from the 500 set aside for an extra fee, adding to the feud with the fans. Once the problem arose, an associate of Match One Skill reported that he would be discussing this matter with Jaebum himself and will be putting up a clarification announcement soon. The post in question is most likely the tweet Jaebum posted on the morning of the competition, the 28th, stating, "You can just get a refund." It is wrong for Match One Skill to break a promise with the fans so easily but Jaebum's attitude in dealing with the problem is also wrong. He attempted to solve the entire thing with just one statement, as easily as possible. The even bigger issue here is that the associate of Match One Skill is, in fact, Hype Nation's choreography director. These people used Jaebum in order to sell b-boy competition tickets to his fans. Once a problem came up, they did not attempt to solve it at all and pushed the entire weight of the issue onto Jaebum's apology post (on Twitter). Everything from the problems that arose from ticket sales to the solutions had Jaebum included in it in some way or form. They attempted to make as much money as possible in the shortest time by using the hearts of Jaebum fans. The fact that this competition is even associated with Hype Nation is an even bigger problem. The truth of the movie itself is even being suspected now. 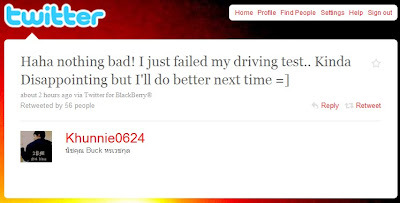 However, Jaebum was not just 'used' so innocently either. Jaebum himself is a part of this clever marketing tactic. 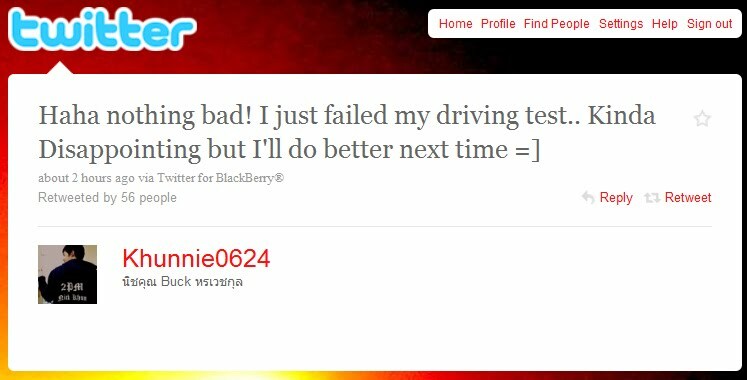 Whatever happened, he promised to participate in the competition and later easily broke that promise. The fact that he so casually just stated, "You can just get a refund," is absolutely disrespectful to the fans that have waited for him for a long time. There is a lot of empty, hot air under Jaebum's popularity. He must be able to fill that hot air and remove himself from the shadows of JYPE in order to confidently stand as an individual. However, actions that he is showing such as the above just shows that he himself is manipulating his own 'air,' which is what is upsetting. What Match One Skill revealed to be the reason for Jaebum's drop out was due to safety problems. They worried for the fans of Jaebum. If so, they should not have sold so many tickets from the start. The fans and the press will not always be on Jaebum's side. He must not reign over his fans. He needs to remind himself how easily the public once turned their backs. Examples of such stars are Um Junghwa, Rain, and Top. They have appropriate stage manners with exceptional vocal talent as singers and have earned respect and acknowledgment as actors in dramas or movies. Um Junghwa is the first generation of the almighty entertainers. Omit. 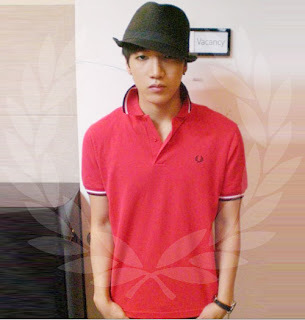 Rain has also advanced greatly despite his age and has conquered the three areas of singing, dramas, and movies. Omit. The third star to follow such footsteps is Big Bang's Top. 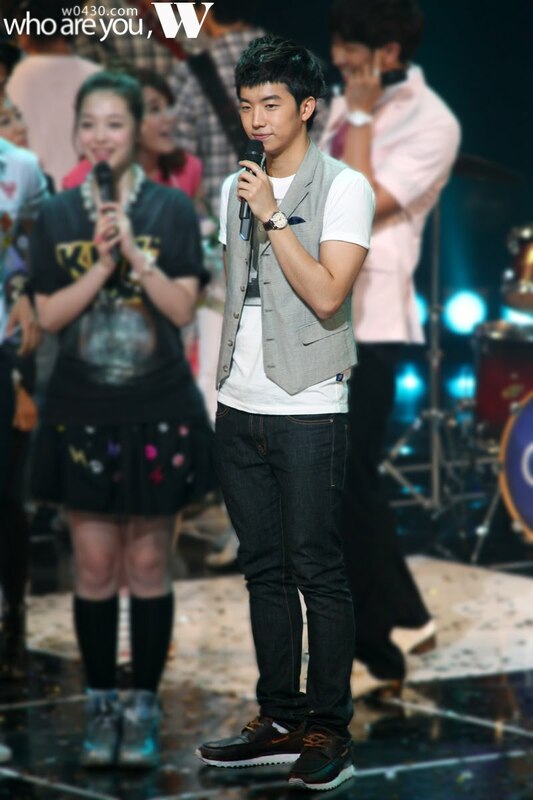 A charismatic idol group rapper on stage, he's got just as much acting talent on screen. Omit. Then who is the next star to continue down such an honorable path? 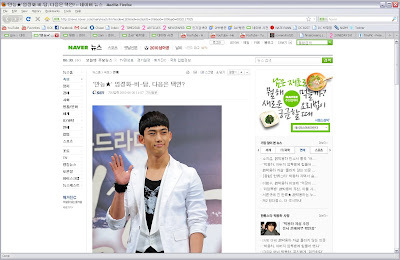 A lot of people are anticipating Taecyeon to grow as an almighty entertainer. He participated in drama 'Cinderella Sister' for the first time since debut and managed to attract interest by showing a safe, comfortable style of acting that did not make him look like a rookie. With his manly image and acting skills that show potential for improvement, his mask holds both innocence and provocation, leading many movie makers to keep an eye on him. 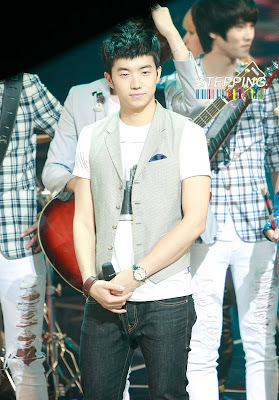 2PM first solo concert in July...inquiries surge. 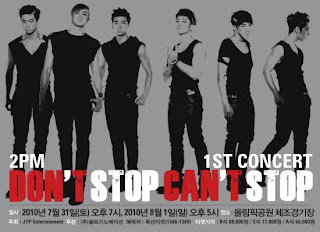 2PM fist solo concert will be held in July. 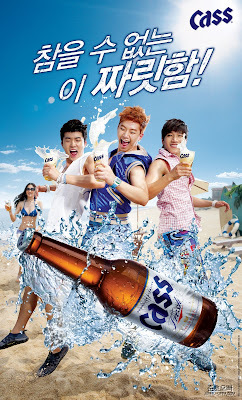 On this July 31 and August, 2PM will be opening their first solo concert at the Seoul Olympic Park. Through this concert, charms that they have shown in stages or variety programs will not be filtered. A JYPE's official said " 2pm member looks forward to seeing their fans as the fans have been showing them so much interest and love" and " We hope that the fans love expressed in the concert will be hotter than the up-coming summer." 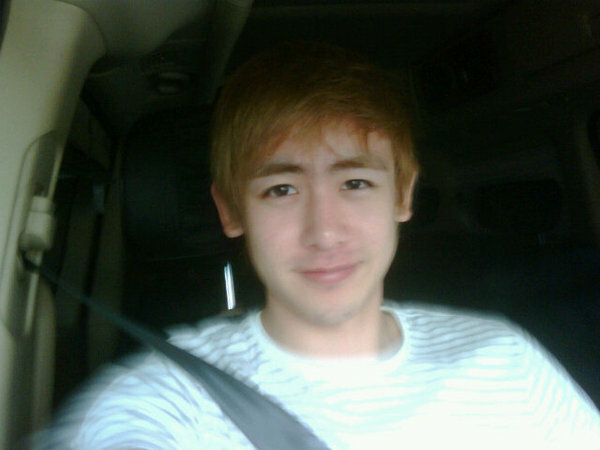 Global designer Tory Burch had a crush for Nichkhun? On 23 July, Nichkhun attended the opening of Tory Burch’s flagship store. 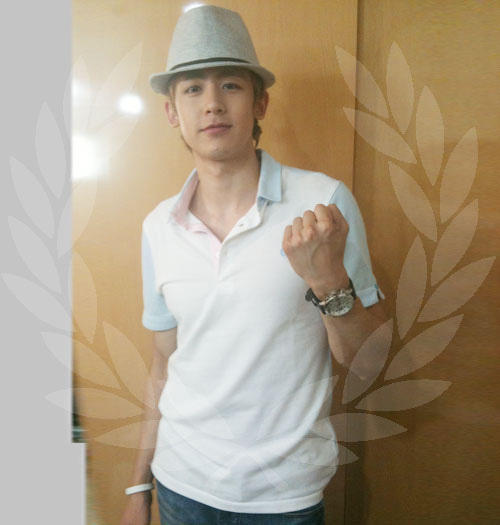 In that day, 'Thai Prince Nichkhun' was the most prominent celebrities in the event. Especially, the casual navy suit fashion that matched well, Tory Burch praised “His fashion goes along well with his clean and handsome appearance." Hiroyuki, who has starred in over 40 different movies, has set out as 2PM's former member Jaebum's special mentor. It has been recently revealed that actor Hiroyuki Tagawa has been teaching Jaebum for Hype Nation along with Rania's T-ae. Hiroyuki will be playing the antagonist of the movie and is a Hollywood veteran, having starred in over 40 different films. Being an Asian American himself, it has been revealed that he has been able to fluently converse with Jaebum, who is a gyopo, and has a lot of cultural understandings and connections with him. An associate of the movie stated, "Hiroyuki saw Jaebum once and stated immediately that he would like to teach Jaebum himself. Jaebum has no experience with acting and due to the tight filming schedule, he spends most of the day taking acting lessons." Although a decent amount of greed gives you motivation and helps you develop, too much greed will spoil the job. Whether you can succeed in life depends on the result of the war with greed. @taeccool Today…. is so hot…… But I played badminton with Khun… kekeke He's so good..
@dlwnsghek Of course.. Everyone has the right to be happy. 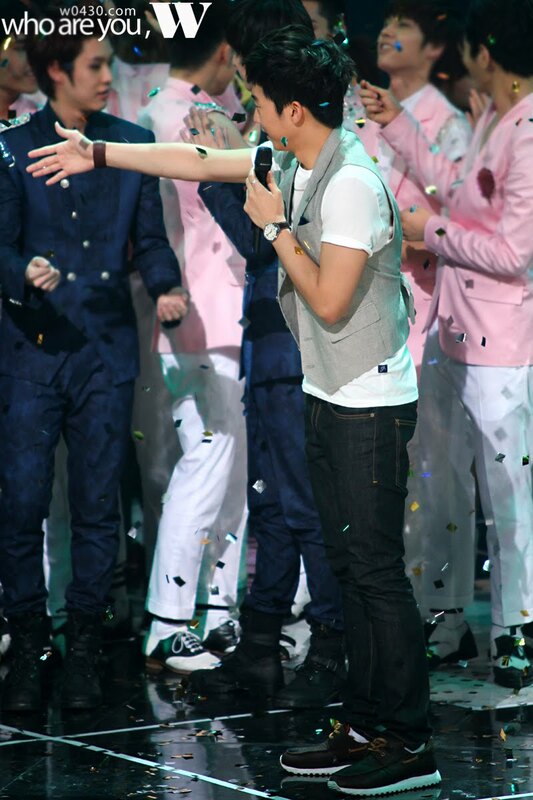 The appearance of 2AM member Jo Kwon flinching(?) 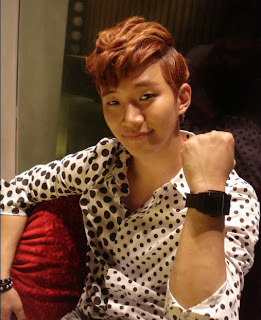 at 2PM member Junho's head-flicking attempt drew up laughter from the netizens. Recently, Jo Kwon revealed a photo showing himself with Junho on his minihompy. This photo plainly showed the manly charisma from the two's looks. 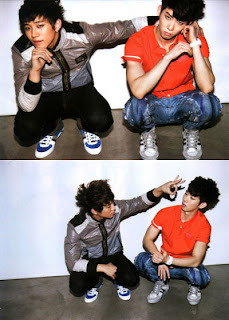 In the photo that followed, it showed Junho attempting to flick Jo Kwon, and Jo Kwon trying to avoid it. Jo Kwon added more funniness to this amusing situation by adding the caption 'Hey?'. 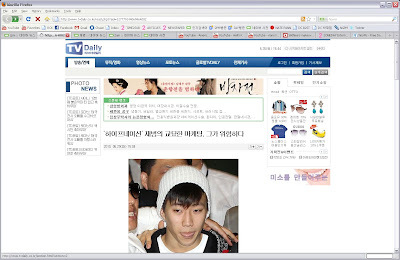 Netizens who saw this photo laughed, saying, "Hey? Junho, put down your hand", "Jo Kwon flinched", "Jo Kwon, flick his head too!". Anyway I just finished recording with ChaCha, I'm really liking the result = ) just got done recording with cha cha, feelin the final product. Everyone did so well. It was awesome to see you guys showing your best efforts right till the end!! it's not about win or lose its about how much you put into the game~ we came correct for sure. The last few photos are of Wooyoung & Taec leaving SBS in their Without U uniforms, on the way to Everland Cool Concert at Carribean Bay! ^_^V And of course Taec MCed also, but there are no fantaken pix, unfortunately! T/N: This fansigning was held sometime last week, it was the same fansigning the PM members apologized for on their Twitters for holding a badly organised fansigning. As a Big Bang fan.. I went to the Myung Dong It's Skin 2PM fansigning. 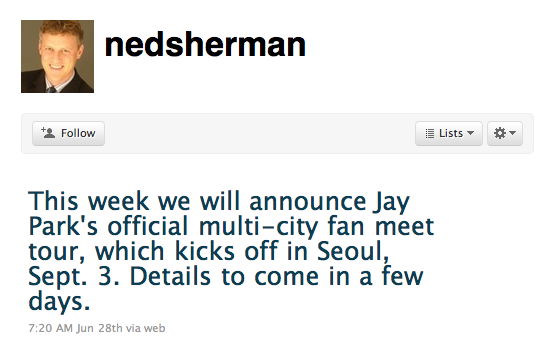 To be honest… Since I'm a Big Bang fan I wasn't going to go… But since I won the prize it felt like a waste if I didn't. I hung around Myung Dong, ate and went shopping until just over 6PM, and headed over to It's Skin. They checked my text and identity and I received my wrist band, and told me to come back at 7 so I finished off my shopping. I went there at 7 and waited in line. 2PM fans brought along A LOT of presents. I thought, were we meant to bring that many presents? Since the cameraman kept filming, I covered my face. At the entrance, the bodyguard said they weren't allowed to take in their presents. The fans' presents were all piled at the entrance… woah.. I thought, will they actually take all that home ? Five people went in at a time, and I was the 5th person in line. There wasn't anyone following behind me. When I was in line they gave me a name tag to put on my right chest. It felt like it was so that they didn't have to say our names. My bag strap was covering my name. The guard told me to show my name. Chansung saw my name and looked at my face once. But I was covering my face so he couldn't see my face. He signed and pushed the bromide photograph towards Junho. He kept moving his head up and down trying to see my face. But I firmly stood still. 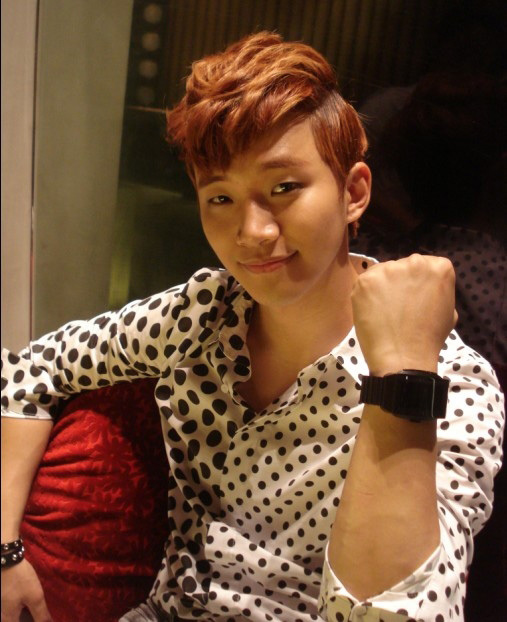 After Junho signed he asked for a handshake so I let my hand out. As we were shaking hands, Junho was meant to push the photo towards Taecyeon but it wouldn't move so he picked it up with both hands and gave it to me. But as he handed it to me, if I received with both my hands my face would've been exposed.. So I was thinking of saying to Taecyeon that I really enjoyed watching Cinderella Sister… but all he did was look at me once so I couldn't say it. 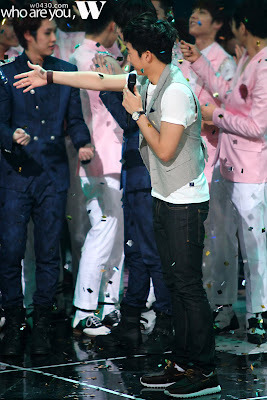 And then I was infront of Junsu…Ah he's friends with our leader…I suddenly felt a sense of familiarity. Junsu wasn't signing, instead he just put both his hands on top of the bromide photo. He was just sitting there… so I looked at Junsu's hands. He was putting on his ring. Silver rings.. 2? 3? Junsu slightly laughed and he was shaking his head and signing really slowly. In my opinion I think Junsu's sign was the prettiest. On TV he looks almost like an angel but in real life instead he looks more human. He's good looking. But while he was signing he didn't even look at me once. I just stared his eyebrows. 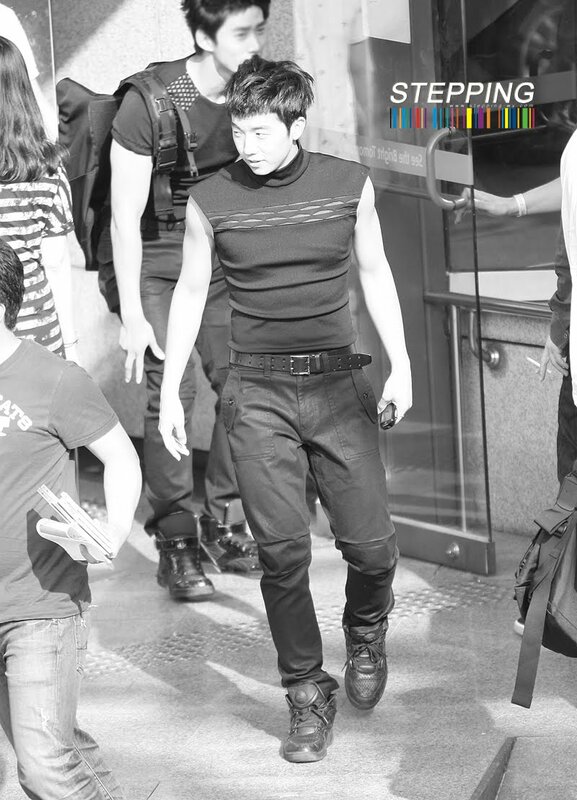 I was staring at Nichkhun like that as I moved along and all of a sudden the bodyguard goes "You can exit through here". What is he talking about??? It seemed like I hadn't seen everyone???? One line summary: In my opinion, Junho looked the best in real life. I guess he doesn't get a lot of camera time. It was weird -_- I'm not even a fan and I was annoyed… I think the actual fans would've been more annoyed. 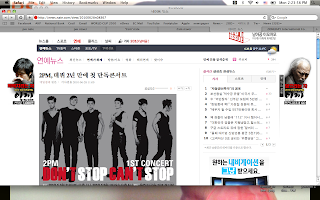 2PM will be holding their first independent concert since their debut. 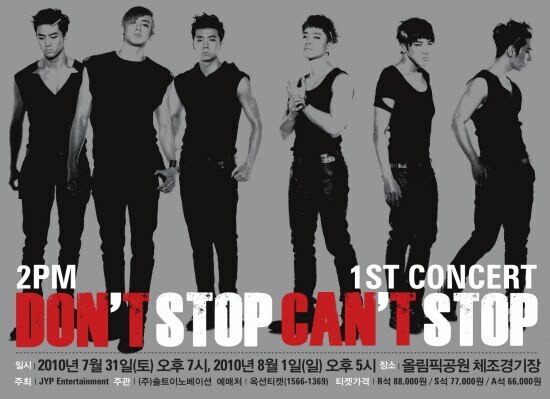 On July 31st and August 1st, 2PM will be opening their first independent concert since debut in Seoul at the Olympic Gymnastics Stadium. An associate of 2PM's company JYPE stated "None of the charisma that they have shown in stage performances and variety shows will be filtered out for 2PM's first independent concert, and it will be a concert which the whole audience can enjoy." 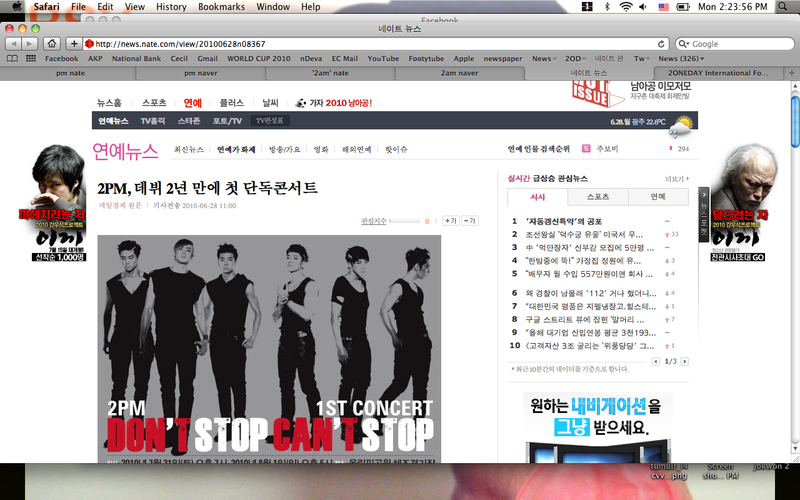 "As much as the interest and love the fans have been showing, the 2PM members are excited to meet their fans through their own solo concert", "we hope for a lot of interest and love at the first 2PM concert which will be hotter than the coming summer." 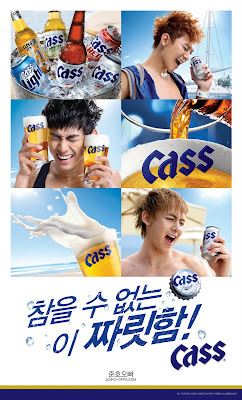 Omit info about 2PM's song promotions since debut.